Early numbers have ABC, CBS and NBC collectively up by double digits versus the 2014 midterms. The midterm elections dominated Tuesday’s broadcast ratings, with ABC, CBS and NBC collectively improving by double digits versus their 2014 coverage. All three networks devoted the entirety of primetime to election coverage, up from just an hour apiece in 2014. NBC led the way with 5.75 million viewers and a 1.9 rating in the key news demographic of adults 25-54. ABC (5.25 million, 1.6) topped CBS (4.25 million, 1.2) for second place.Cable news ratings will likely surpass those of these three networks; those numbers will be out later Wednesday. The three nets averaged 5.08 million viewers for their coverage, up 16 percent over 2014. In the 25-54 demo, their 1.6 average is 33 percent above the number four years ago. The gains extended to late night, where Jimmy Kimmel Live!, The Late Show With Stephen Colbert and Late Night With Seth Meyers all aired live election specials. 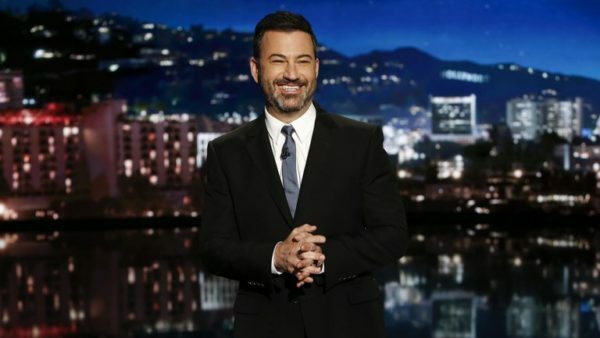 Kimmel hit a five-month high in metered markets, drawing a 0.8 rating among adults 18-49 and 2.3 in households — the show’s best mark since it had an NBA Finals lead-in June 8. The Late Show drew an above-average 0.6 in the 18-49 demo and 2.9 in households, capturing the biggest overall late-night audience. Late Night‘s 1.4 household rating is also above average; all three shows could change due to inconsistent start times in some markets. Fox got 0.7s in adults 18-49 from new episodes of The Gifted and Lethal Weapon, on par with season averages for both shows. The CW aired reruns of The Flash and Black Lightning. READ MUCH MORE ENTERTAINMENT NEWS HERE.